When the 25 April 2015 earthquake jolted Kathmandu, the world was given the wrong impression that the whole of Nepal was utterly devastated. Visuals of ruins in the international media did not show that most of Kathmandu was intact, or mention that the earthquake had affected only 12 of Nepal’s 75 districts. The number of tourists in 2015 plummeted to a six-year low, and just as the country began to recover, the Indian blockade and resulting fuel crisis crippled transportation. However, annual visitor numbers last year rebounded to pre-earthquake totals, and if bookings are any indication the number of tourists in Nepal is expected to break the 2012 record of 800,000 tourists this year. Immediately after the quake, the NTB notified tour operators that only three trekking routes (Langtang, Manaslu and Rolwaling) out of 35 main hiking trails in Nepal were affected by the earthquake. A few out of eight UNESCO World Heritage Sites and monuments were damaged, and only three out of 18 national parks and conservation areas were affected. Joshi says the impact of the Indian blockade on the tourism economy was much more severe. Not only was air and road transport disrupted, but negative publicity affected the arrival of tourists from India — the largest source country for visitors to Nepal. Encouraged by the current upturn, NTB has set a target of 2 million arrivals by 2020. By then two more international airports (Lumbini and Pokhara) should be operational, Nepal Airlines is adding Airbus 330-200 widebodies, Himalayan Airlines has expanded, and the delayed upgrading of Kathmandu Airport should be completed. NTB also hopes to target newer markets such as Russia and the Gulf, as well as pilgrimage traffic from Burma, Cambodia and Vietnam. In addition, 4,000 new hotel rooms in the four and five star category are being added in Kathmandu, Chitwan and Pokhara. At least 30 new hotels are coming up, including five international chains like Hilton, Double Tree, Sheraton and Marriott. Hotel entrepreneur Karna Shakya has a different take on tourism, and says Nepal has a strong brand, and was always a sought-after destination. In fact, he says the earthquake actually boosted tourism because many people hoped to help the country’s economy by visiting. “We haven’t lost anything after the quake because people came to see the damage, and the disaster opened new doors for tourism instead,” says the indefatigable Shakya, who recently opened two new hotels: Maya Manor Boutique Hotel in Kathmandu and Himalayan Front Hotel in Pokhara. 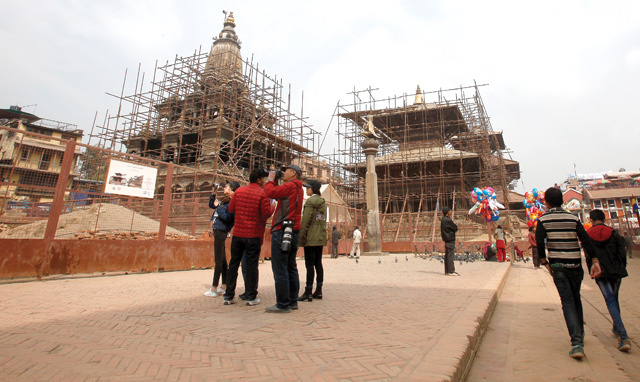 Despite immense tourism potential, Nepal has not been able to attract a higher number of tourists due to various factors including poor air connectivity. China is the second largest tourist source country to Nepal, but arrivals from there that dropped after the earthquake haven't really picked up. There used to be at least 50 flights a week from Chinese cities before 2015, but the number has dropped by half. The real bottleneck is Kathmandu Airport, which is congested and poorly managed, and has earned the distinction of being consistently ranked among the worst airports in the world. There are now 28 international airlines from 14 countries serving Nepal, and the airport cannot add any more slots. Tourism within Nepal is also affected by poor domestic aviation infrastructure and safety concerns. 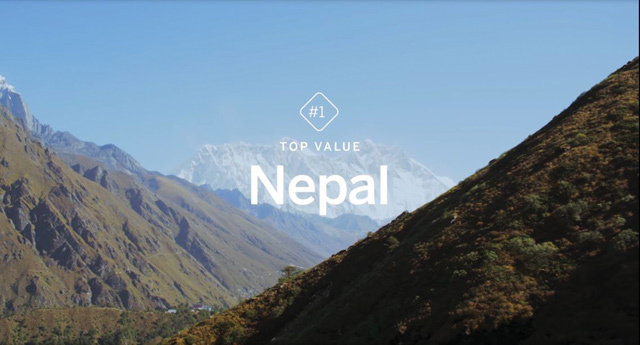 Nepal has scored consistently high on lists of the most popular travel destinations in the world. After the April 2015 earthquake, international travel guides and newspapers contributed to the rebound by highlighting Nepal’s nature and heritage attractions.